The 2018+ Mazda 6 is a great looking car inside and out. 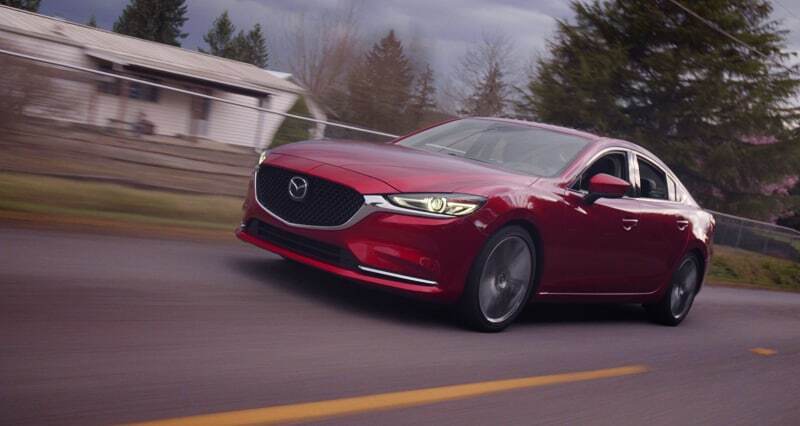 The Koda design is breathtaking, but there is just something a bit “off” about the Mazda 6. Its just too tall! The team at CorkSport Mazda Performance has a solution with the Sport Lowering Springs for the Turbo 2.5L Mazda 6. 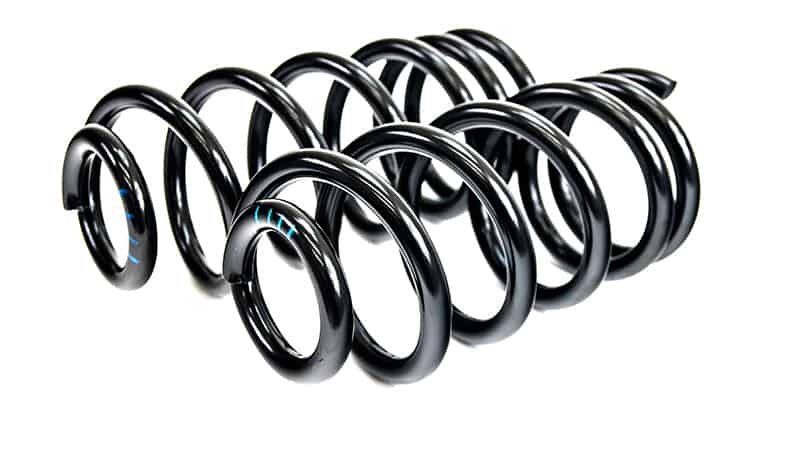 The lowering springs were designed with the enthusiast in mind by providing a spirited and comfortable ride with a 1.00 inch Front Drop and 0.75 inch Rear Drop. Spring rates were increased 25% & 45% over OE, respectively. #ZoomZoom! The CorkSport lowering springs improve your Mazda 6’s cornering ability by lowering its center of gravity and stiffening the suspension. This reduces body roll in hard cornering which gives you confidence to enjoy that backroad. Plus, we stiffened the rear springs more than the front to reduce understeer when at the limit. Gain a big style boost with the CS lowering springs. 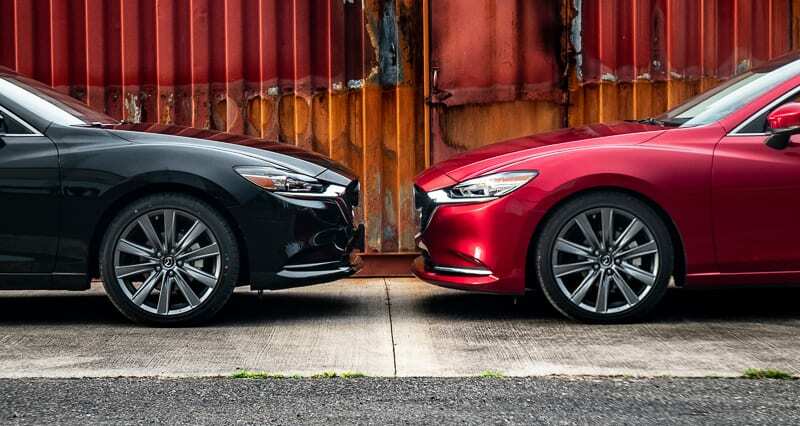 1 inch drop in the front and a 0.75 inch drop in the rear provide exactly what the new Mazda 6 needs to stand out from the crowd. We accomplished the new lower height without compromising daily driving comfort. While it may sound like a lot, the 25% stiffer front springs and 45% stiffer rear springs ride great and fit well with the OEM dampening, while providing more feedback to the driver for extra confidence in the corners. We tested a number of spring rates and lowering heights to determine the best suspension setup for your Mazda 6 2.5T. The natural frequency of the suspension with the different setups was also analyzed to optimize ride quality and handling. The final setup of 3.8K front springs and 7.3K rear springs are fantastic whether you just want the look or are all about handling. For more info on our testing, check out our blogs using the links near the bottom of the page! As with all CS lowering springs, these are an easy install directly onto the OEM suspension components. The only modification is trimming the bump stops to make up for the decreased suspension travel. The conservative drop in ride height keeps your bumper safe from driveways and ensures your OEM shocks and struts are well within their operable length. You may notice a slight rake to the ride height. This is to ensure the car sits level and not too low, even when loaded with additional passengers or your mother-in-law in the trunk! 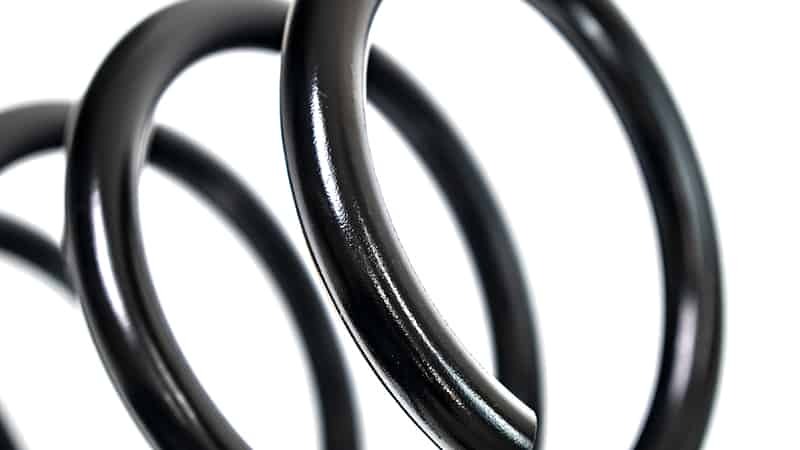 The springs are manufactured from high tensile strength spring steel to ensure long lasting quality and consistent performance. 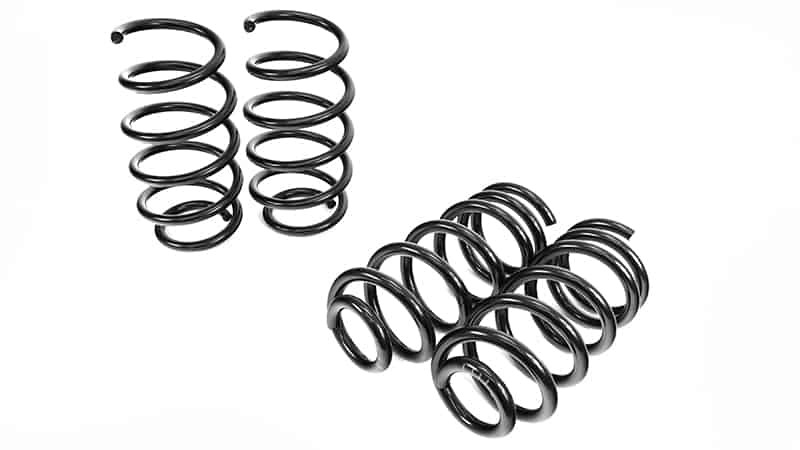 In addition, the springs have an OEM style black powdercoating to ensure durability and rust protection. Check out our blog on the Mazda 6 Springs development process! Springs were designed for the Mazda 6 equipped with the 2.5L Turbocharged engine ONLY. 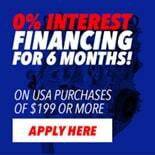 Compatible with: 2018+ Mazda 6 equipped with the 2.5L Turbo Engine. Just right. Great ride, car looks better but I can still drive in and out of driveways. Since these springs are for the turbo model only, will you be releasing springs for the non turbo since a majority of users have the NA version of the Mazda6?